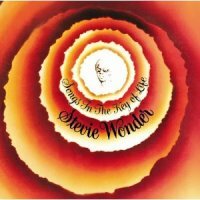 One of the most successful, epoch making albums of the 1970s, Songs In The Key Of Life was Stevie Wonder's magnum opus. Spread over two LPs and one EP record, these 21 songs represent the sheer musical genius of an artist who was at the top of his game. It's hard to believe now that so many great songs, with amazing arrangements and production values, could be produced by one person and released as a single album. This SHM-SACD edition is a true gem! Originally released in 1976. This limited SHM-SACD edition is based on brand-new 2011 DSD masters created from the original analog tapes in the US.